Fashion and fashion photography reflect the times that produce them; they are snapshots of an era and communicate the attitudes of a generation. The fashion photographer, like the fashion designer, has to anticipate trends, visualize ideas, and do this via images that men and women can identify with, whether consciously or unconsciously. This stunning new compendium of fashion photography (and art photography that documents fashion) contains images made as early as the 1840s and leads all the way up to today. There are society photographs, nudes, conceptual works, abstractions and documentary images. Photographers include Hill and Adamson, Madame d Ora, George Hoyningen-Huene, Yva, Regina Relang, Man Ray, Richard Avedon, Guy Bourdin, Robert Mapplethorpe, Alfred Eisenstaedt, Annie Leibovitz, Herlinde Koelbl, David LaChapelle, Peter Lindbergh, Wolfgang Tillmans, Merry Alpern, Ralph Gibson, Martin Kippenberger, Irving Penn, Edward Steichen, Cindy Sherman, and many others. 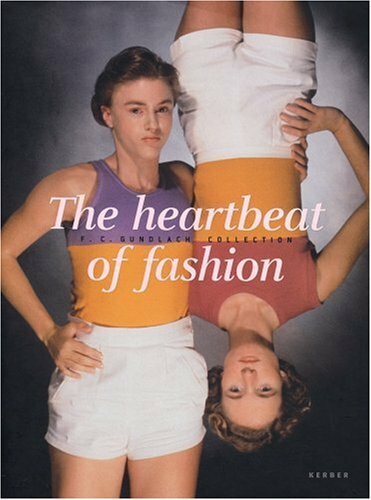 Exquisitely printed on deluxe paper, The Heartbeat of Fashion will appeal equally to lovers of fashion and photography, and makes an ideal gift for anyone with impeccable taste and an interest in the history of aesthetics.